ROME, 17 April 2018 (FAO)* – FAO has urged governments and the private sector to improve labour safety in agriculture and forestry, sectors whose back-breaking jobs are among the most dangerous. 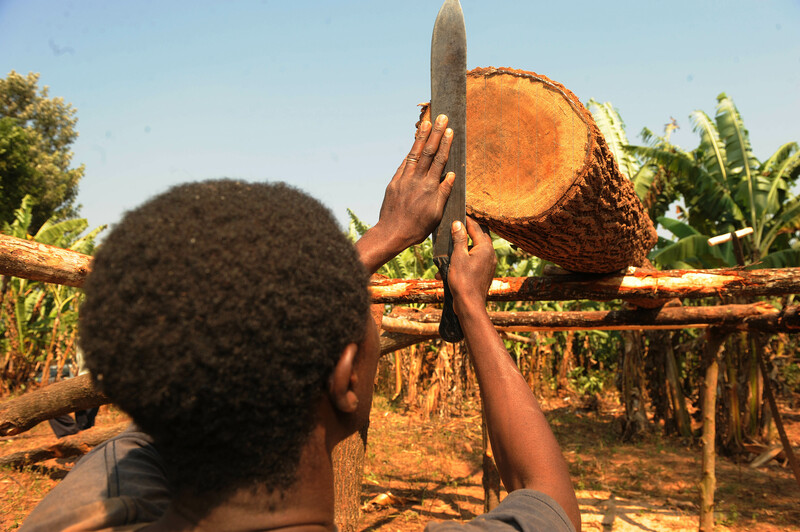 “On-the-job risk factors are well known and many for forestry and agricultural workers, yet more has to be done to reduce and control them,” said FAO Forestry Officer Jonas Cedergren, who presented the work. More than three-quarters of the world’s poor live in rural areas, where many depend on agriculture including fisheries and forestry to make a living. “The work they do is often difficult and dangerous,” Cedergren said. Aimed at policy makers and those in managerial positions, FAO’s messages address heat stress as a risk facing outdoor workers, and urge a strong and harmonized framework for reporting injuries, accidents and deaths in forestry. Given the large share of people working in farming and forestry in the tropical or arid climates of Southeast Asia, sub-Saharan Africa and the Pacific – where year-round temperatures tend to be high and are likely to rise further as a result of climate change – it is essential that employers and workers follow established best practices. It’s known that even professional marathon runners go slower when it is hot and humid, climate conditions which are typical for many developing countries and projected to intensify. FAO’s contribution, “Managing Heat in Agricultural Work”, finds that, while most people are aware of how to protect themselves from heat stress, many often do not – especially those who are new to their jobs or perform such tasks only occasionally. While workers must take their own initiatives, managers must assure that they are able to and encouraged to do so. “Coping mechanisms cannot be fully decentralized to employees,” the report notes. Safety efforts must be focused not only on work sites but also in preparatory phases. A review of case studies from sugarcane workers in Latin America and forestry workers in South Africa found that a near majority began their shifts already dehydrated, often due to lack of shade and other facilities while the workers – often migrants – waited to be transported to their jobs. FAO reminds workers and employers alike to assure adequate intake of water – several liters a day, and safe to drink – and salt, as sweating can lead to the loss of as much as half of typical normal dietary intake. “Accident reporting and analysis in forestry: guidance on increasing the safety of forest work” offers a roadmap for countries, institutions, companies, producer organizations and trade unions seeking to improve occupational safety. It urges adoption of a standardized reporting system so that stakeholders and authorities are better able to identify the prevention efforts needed. A key step in that is to make sure that accident reports are unbiased, free of censorship due to perceived liabilities, and offer data that “speak” to knowledgeable experts able to suggest remedies. Such reporting systems have produced numerous improvements to the machinery increasingly used – such as chainsaws, harvesters and skidders – in the forestry sector and helped drastically reduce fatalities, which have fallen by 75 percent or more in industrialised countries with major forest sectors.